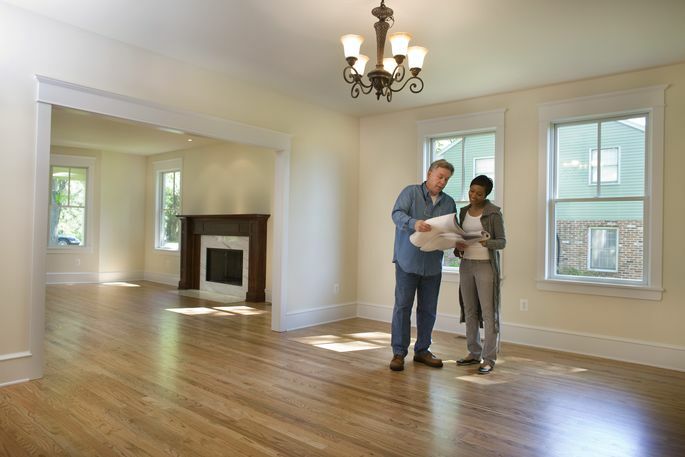 A home inspector can make or break a sale for both sellers and buyers. It's why, no matter whether you're buying or selling, the home inspection process can be somewhat terrifying! For sellers, it's a stark reminder of the nagging issues you might have turned a blind eye to over the years. And for buyers, it's a recipe for pure heartbreak—falling in love with a home that might just end up making no sense to buy. But don't let the inspection stress you out. And remember, that's not what your home inspector wants either—all he or she wants is a comprehensive to-do list and a happy client. We know your puppy is adorable—but even if your home inspector lovesdogs or cats, pets running underfoot makes the job much more difficult. With animals out of the way, "every time I walk in or out, I don't have to worry about losing a cat or a dog," says Alan Singer of Sterling Home Inspections in Armonk, NY. Whether you plan on being there for the inspection or not, make sure to clean up beforehand. No, you don't need to scrub—an inspector won't ding you because your stove's grimy. But all that clutter? Yeah, that's all got to go. "It makes a huge difference when I walk into a house where everything's put away," Singer says. "It's a game changer not just for me, but for the home buyer." "If it doesn't feel like how it did before—if we're trying to dig through items—it can sour their experience," Singer says. Your home inspector will likely come up with a seemingly endless list of problems after the walk-through. Don't panic! "I'm on their side, but still, I'm judging the house fairly," Singer says. "Even my home has problems, issues, maintenance things." Yeah, there are times when you should worry (we'll get to those a bit later). But not every issue is mission-critical, and your inspector will know which problems you should tackle first. There are a few starkly frightening home inspection terms that seem to be in everyone's vocabulary: mold, radon, and asbestos. And yes, they're scary—but no scarier than a roof that needs replacing, home inspectors say. "People who write articles tend to scare homeowners about mold or radon," Singer says. So let us—your humble (and rather defensive) writers—take a moment to correct that assumption: Don't worry so much about mold and radon! Singer, who started his career in homebuilding, says, "everything is upgradable, fixable, or replaceable. You just need to have a list of what those things are." Not convinced yet? Check out this Washington Post article about a couple who got a discount on a four-bedroom Colonial because they weren't terrified by mold. Here's one problem we give you permission to stress out about (just a little): water. No, it's not a deal breaker (remember that part where we wrote almost anything can be fixed?). But it's important to address any water-related issues before the deal closes—or at least immediately afterward. Make a note of issues such as puddles and leaky ceilings. And give special attention to the basement. Addressing water problems in the basement can be an expensive and difficult proposition, Singer says. "A wet basement can be hard to fix." You might want to know how many more years the roof will hold up—and while your inspector might be able to give you a rough estimate, he can't give you a precise timeline. "People think that we as inspectors have a crystal ball," Singer says. "Or that we have X-ray vision" to see through walls or examine the inner circuitry of your kitchen stove. Sorry, folks: They don't, and they can't. "We can't tell you how long it will last," Singer says. "We can just tell you if it's in good shape." It's easy to forget your love for the home when you're counting the dollar signs and hours you might have to spend on repairs. But just remember to take a deep breath, think rationally, and consider whether it's a smart investment in your future. Singer empathizes: "The justification can sometimes be a horrible process, because our brains are all about money and time and (asking) ‘What kind of mistake am I making?’"
Barring any major renovations needed—such as a new roof or mold removal—your inspector's visit will simply provide a to-do list. But not everything needs fixing immediately, so don't let a long list dampen your love for the home. Just take things one at a time.